What are the white pvc pipes in the Nevada desert for? What exactly are these posts marking? These are mining claim markers that mark the edges of the claim. The ones in the picture are legal, because the tops are capped. If the tops were not capped, it would be legal to pull them out and set them on the ground. 8. 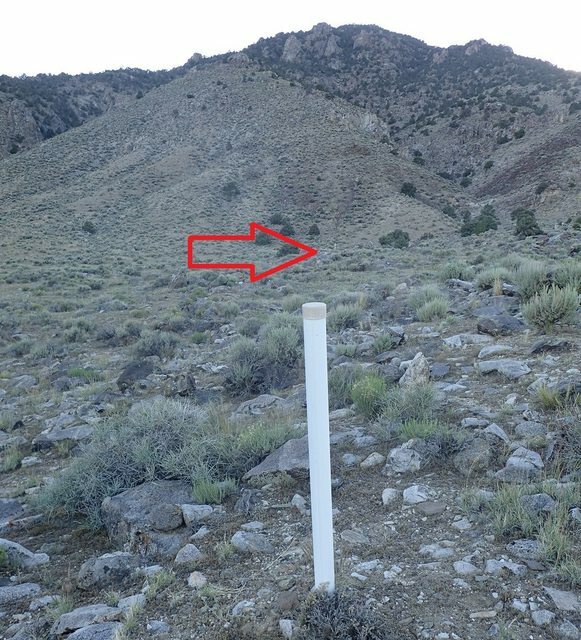 After November 1, 2011, any durable plastic pipe that is not removed pursuant to subsection 7 may be removed and placed on the ground immediately adjacent to the location from which it is removed to preserve evidence of its use as a monument for the lode mining claim. The reason that they are required to be capped is that birds and reptiles and bats and other creatures may fall into the pipes, and then are not able to get out. This is also why it became legal to pull them out and set them on the ground. At least one source that I found estimates that there are 3.4 million of the pipes and they kill over a million birds annually. The U.S. Bureau of Land Management estimates there are more than 3.4 million of the white polyvinyl chloride pipes sticking out of the ground across the West — more than 1 million in Nevada alone in a 2011 survey. Darin Schroeder of the American Bird Conservancy estimates the PVC markers cause the death of more than a million birds a year nationally. He said small cavity-nesting birds mistake the openings for an ideal home but once inside are doomed by the smooth sides of the pipe with a narrow diameter that keeps them from climbing or flying out. It is worth pointing out that both the BLM, the mining companies and bird societies are working on mitigating the problem. Not the answer you're looking for? Browse other questions tagged united-states conservation nevada or ask your own question. What is the survival rate for fish restocked via airplane? What are these small corroded canisters on top of a mountain in Nevada?